The assembly witnessed noisy scenes as members from both sides were seen shouting at each other and on many occasions the Speaker was seen trying to appeal for calm, but it fell on deaf ears. 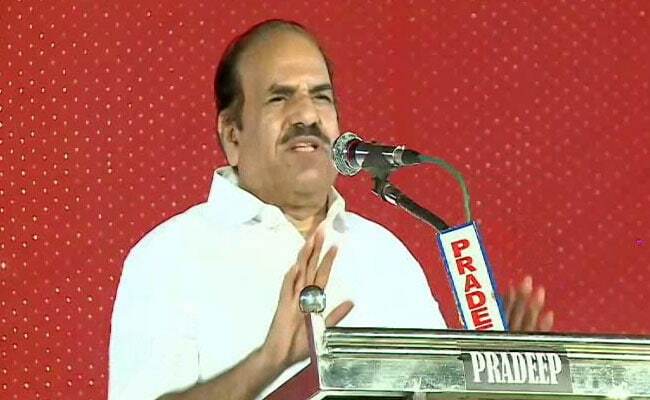 Thiruvananthapuram: Kerala CPI-M state secretary Kodiyeri Balakrishnan, whose elder son Binoy Balakrishnan is caught in fraud allegations involving a Dubai firm, faced backlash in the assembly from treasury and opposition benches. Speaker P Sreeramakrishnan put up a request not to move leave for an adjournment motion on the issue of Mr Kodiyeri's son, Binoy's current position in Dubai, saying this has nothing to do with the assembly or the state government. However, Congress legislator Anil Akkara said he will raise it as the case has caused a huge dent on the image of the Kerala diaspora in the Middle East. "I am not going to withdraw from moving this motion as the diaspora meet held in the assembly - Loka Kerala Sabha, has taken a severe beating after the registering of a case against Binoy Balakrishnan in Dubai, and he can't leave Dubai. Another son of his - Bineesh is also facing cases in Dubai. There are cases against the sons of Left legislator Vijayan Pillai and also CPI-M legislator E.P. Jayarajan. All this highlights the fall of the CPI-M, and all these cases are now being covered extensively in the media," Mr Akkara said. In reply, Chief Minister Pinarayi Vijayan said there is a concerted attempt by the opposition to raise unwanted issues with an aim to tarnish the image of the CPI-M and its leadership. "In the past, when allegations were raised against the sons of Congress leader and former Minister (Vayalar Ravi), P. Chidambaram's son Karti and the son of BJP president Amit Shah, these were never taken up in parliamentary forums. Now you are doing this purposely. These issues have nothing to do with either the state government or the assembly. These are just business issues. And what is even more surprising is this has been raised by a person who has a vigilance case against him," Mr Vijayan says. Mr Jayarajan, a former minister who had to quit over allegations he appointed his close relatives in key posts, said that the need of the hour is for a ban and strong action against the media for putting out "baseless news". "My son is now paying out money after liquidating his share in his business after his cheque was misused by the son-in-law of Atlas Ramachandran (currently in jail in UAE). He has done no wrong at all, but he is facing the music as he tried to help someone," said Mr Jayarajan. Later entering the discussion, Leader of Opposition Ramesh Chennithala remarked that it's very surprising to see the Chief Minister speaking of morality and asking not to raise non-issues. "Have you forgotten what all issues you raised when we were in office (2011-16) and the language that was used by the person (V.S. Achuthanandan) who raised it as opposition leader, and it was against our Chief Minister Oommen Chandy and what all things he said then. You should understand all the issues that have been raised against Kodiyeri were not brought out by us, instead your own party is behind this news. Unhappy with the Speaker for refusing to take up the issue for discussion, Mr Chennithala led the entire opposition out of the House. On Monday, media reports that Binoy Balakrishnan has been barred from leaving Dubai over the alleged financial fraud case against him was confirmed by the younger son of Kodiyeri. Bineesh said that his elder brother has to pay Rs 1.72 crore to an Arab businessman, who has filed a complaint against Binoy. The case has sullied the image of the ruling CPI-M, and given the opposition Congress and BJP a strong weapon to attack it with.